How hard can it be to play a single note? 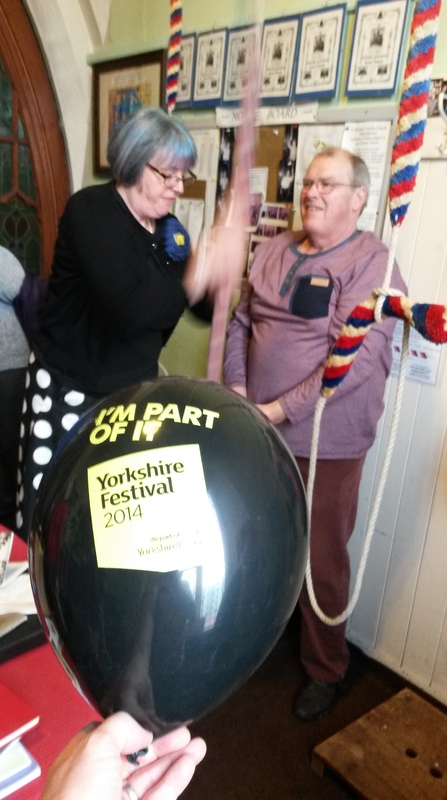 Well we were up for the challenge…. Most musicians learn pages and pages of complex pieces, with lots and lots of notes. 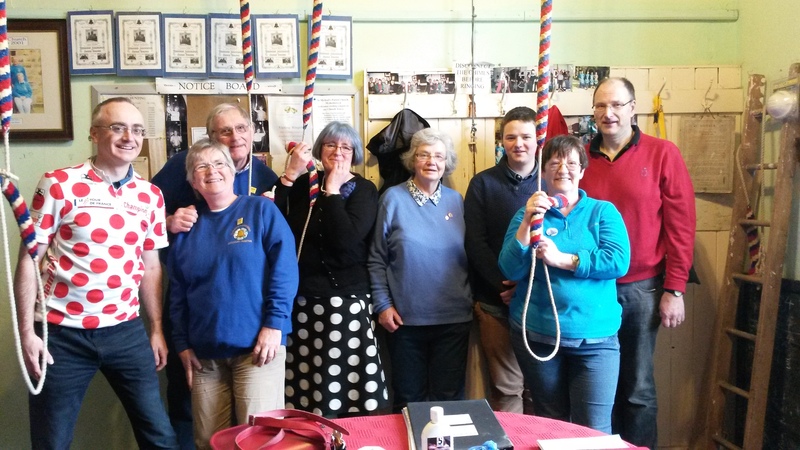 Our challenge (for five ringers) was to ring 1 2 4 3 1 2 4 3 8. 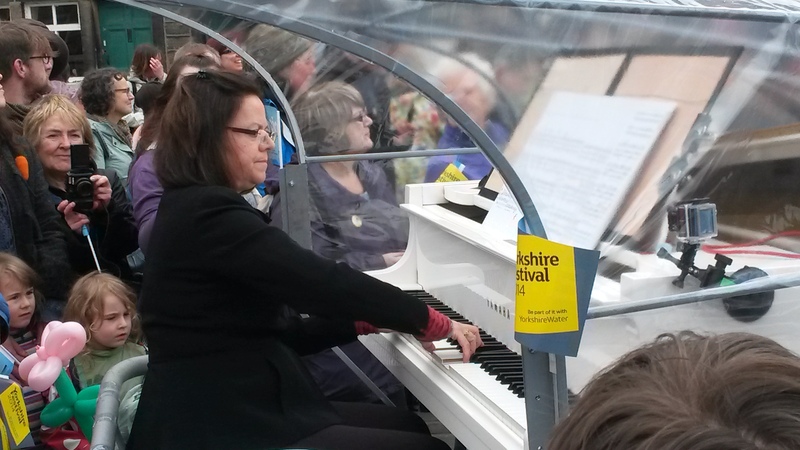 Or F E C D F E C D F.
This was to be the prelude to international concert pianist, Kathryn Stott, playing a piece specially composed by the brilliant Dave Nelson, while sat at a grand piano, on a “pianoporte” while being pulled by a line of cyclists up the 5 mile climb of Cragg Vale. 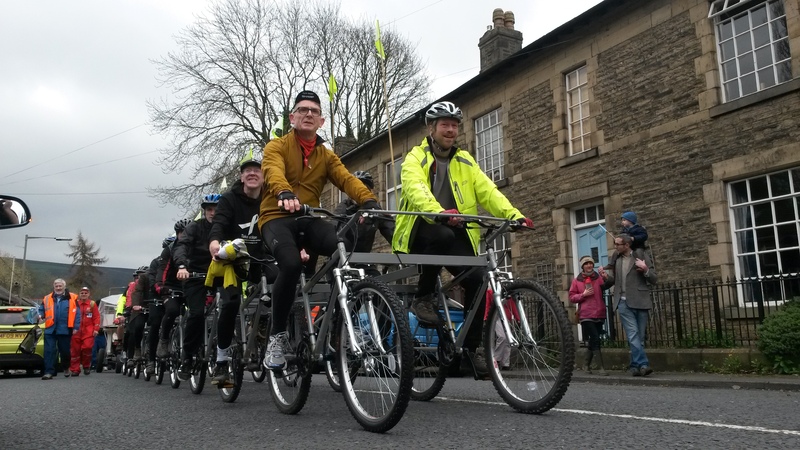 This was The Grand Departs – a ludicrously wonderful event at the heart of the Yorkshire Festival 2014. And we were part of the composition for this piano piece. We were the warm up act, as it were. 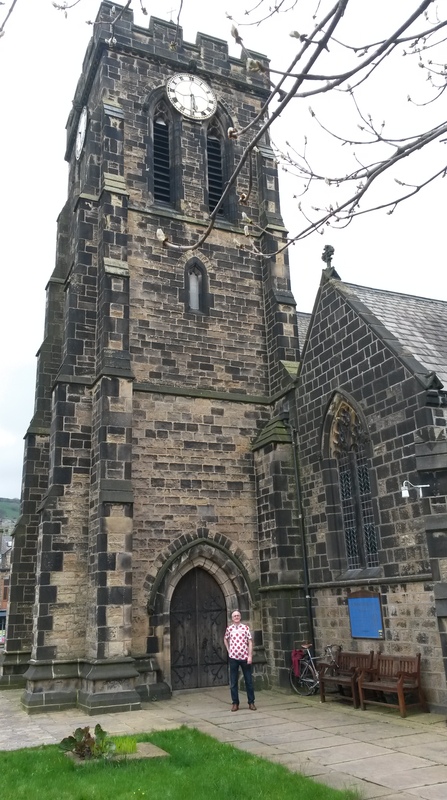 We walked past the BBC One Show TV crew (well OK we did loiter with intent a bit) and we took stock of the fantastic stalls of local artists in the church hall, and then we opened the tower shortly after 10am. 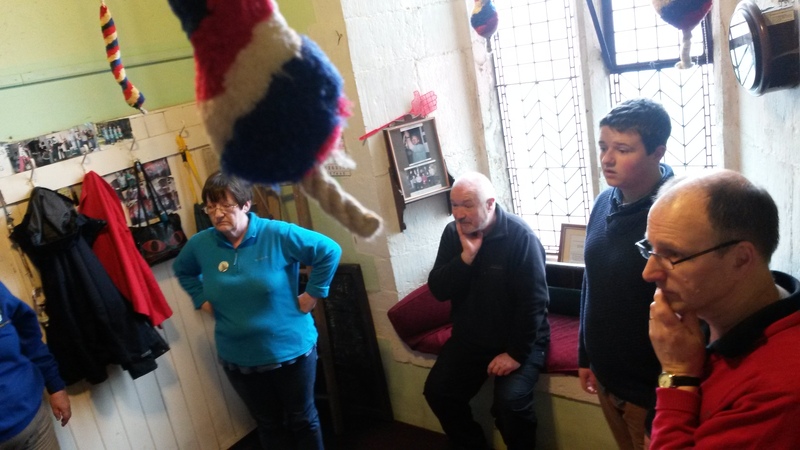 We were delighted to welcome several folk of all ages up the few short steps to the belfry. We were equally delighted to shake hands with a new batch of potential ringers of the future as they set off, half an hour later, back down to the festivities around the pianoporte. 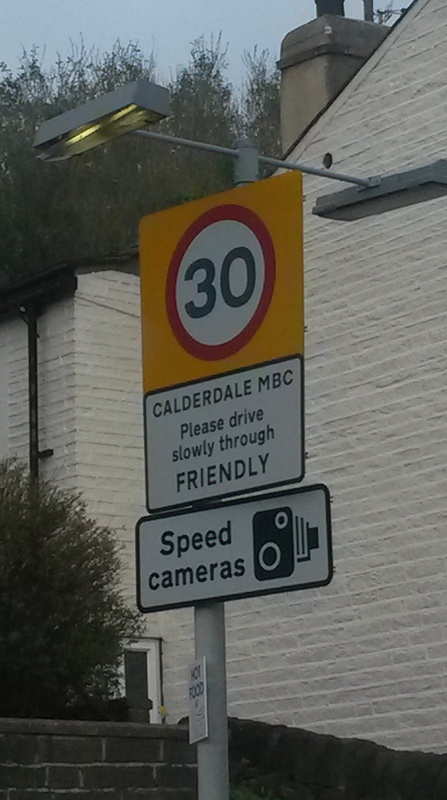 It promised to be a good day as we passed through the village of Friendly…. We were soon in the lens of the TV cameras. Our official steward checked his phone. When the speeches were done outside we would start ringing. “Go” came the text message. 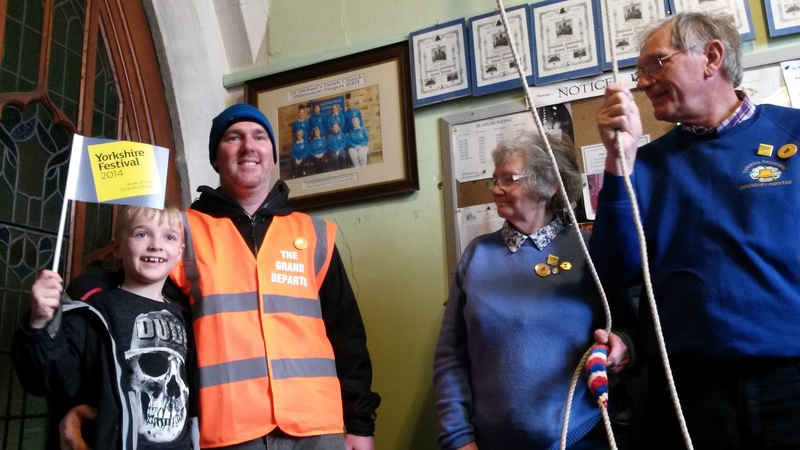 We reached for the ropes. “No” came the text message. “aaagh what shall we do!” Then came the phone call. “Go”. And we did. Nice. Here’s the link to our magnificent piece (with background roars from the crowd) on Derek’s website. It was a big crowd outside. 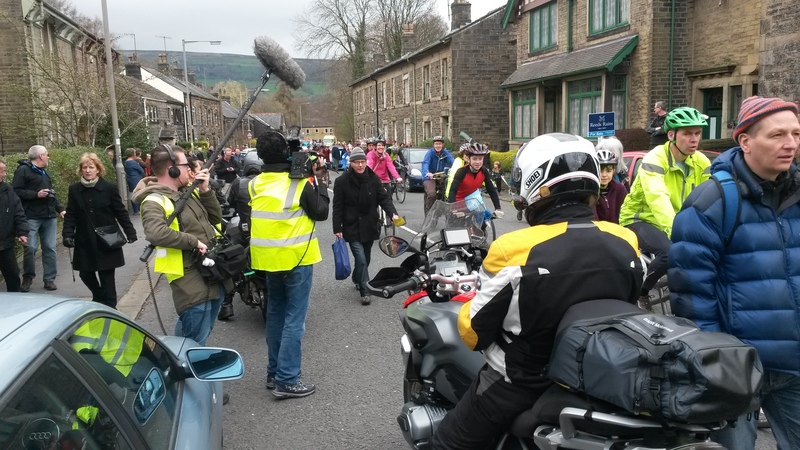 The BBC One Show crew in the thick of the action. 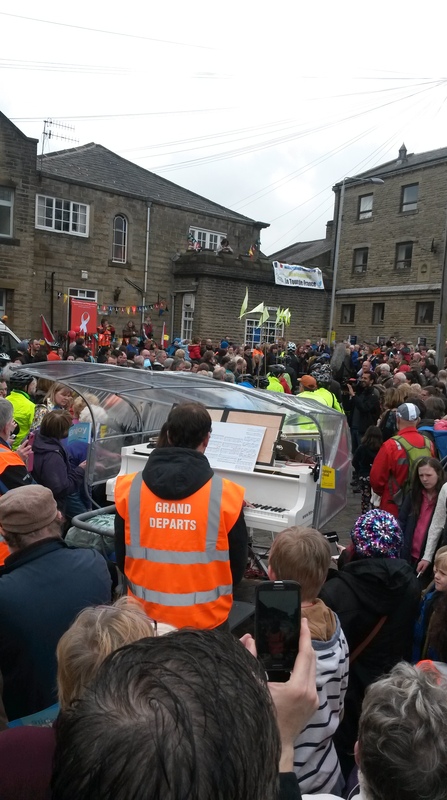 Everyone wanting to see the cyclists and to hear Kathryn Stott. 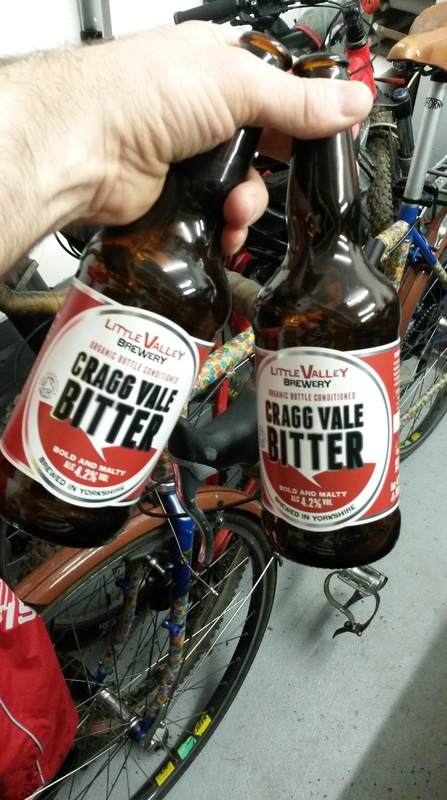 The obligatory “bells and bikes” photo of polka dots and tower…..
And what better way to wrap up the day than Little Valley Brewery’s Cragg Vale Bitter. 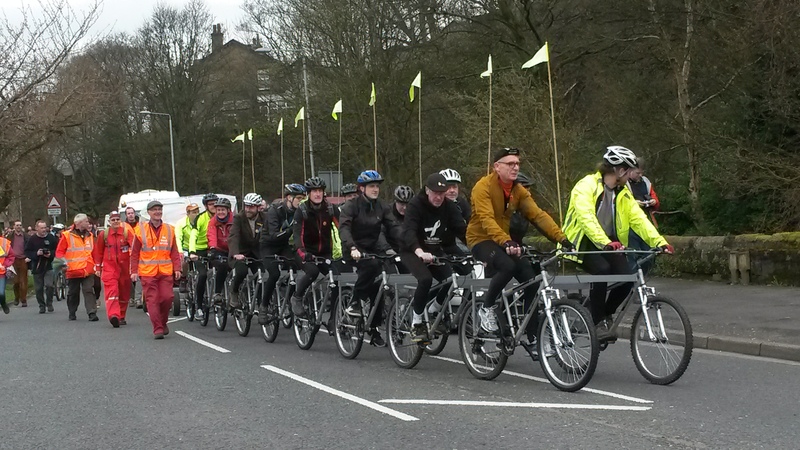 The Grand Departs featured on the BBC One Show on Monday 8th April. Cheers. Now what’s next? 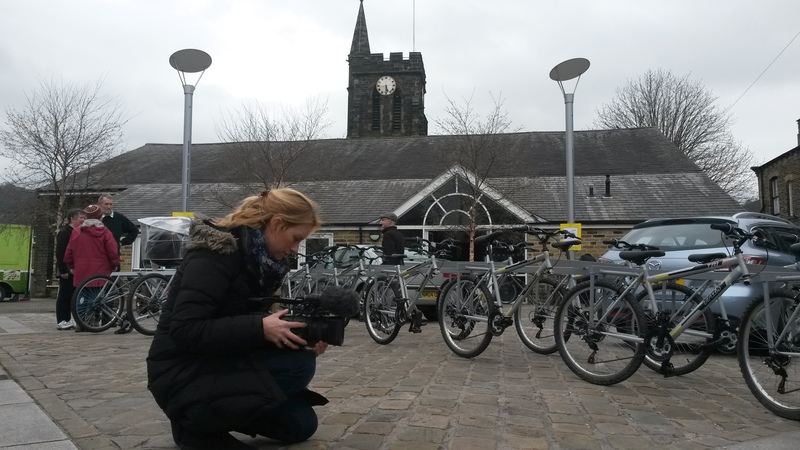 Oh yes BBC Radio Leeds live on the Sunday morning show at 7.40am….